Library is one of the vital organs of the academic body, plays a crucial role in the development of education, through its multi disciplinary operational activities. 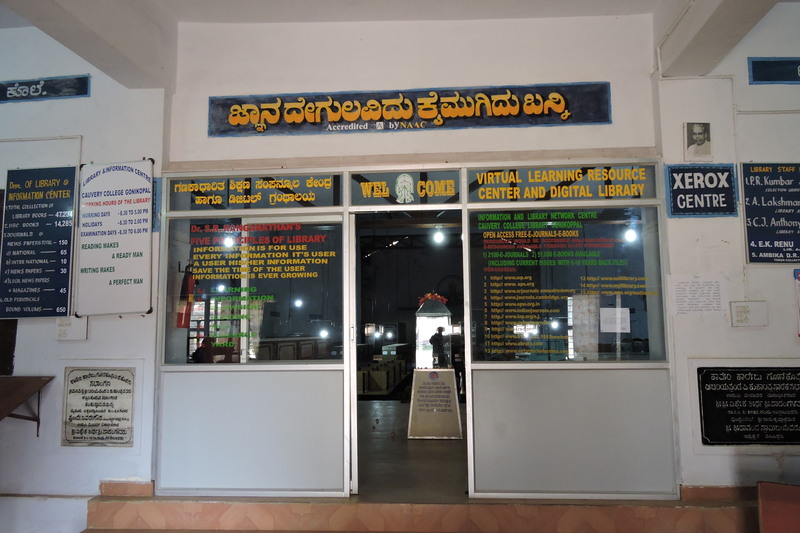 With this vision in view, Cauvery College library was established in the year 1968-69, under the University of Mysore.The College was admitted under grant in aid scheme in the year 1978-79. The UGC has sanctioned Rs. One Lakh during the fifth year plan period towards the purchase of books. The college has been receiving financial assistance towards library development during the eight, ninth and tenth plans. The library saw a new dimension towards the purchase of books, subscription of journals and equipments with UGC assistance. In a span of five years many books were added, as the Science and Commerce subjects were introduced at the PUC level. The collection increased quantitatively. The automation and computing facility have transformed our library into a information center. Our library has a rich collection of 46,912 volumes of books and journals on various subjects. All the books have been technically processed, card catalogues maintained and books are classified as per Dewey decimal classification scheme (18th edition). 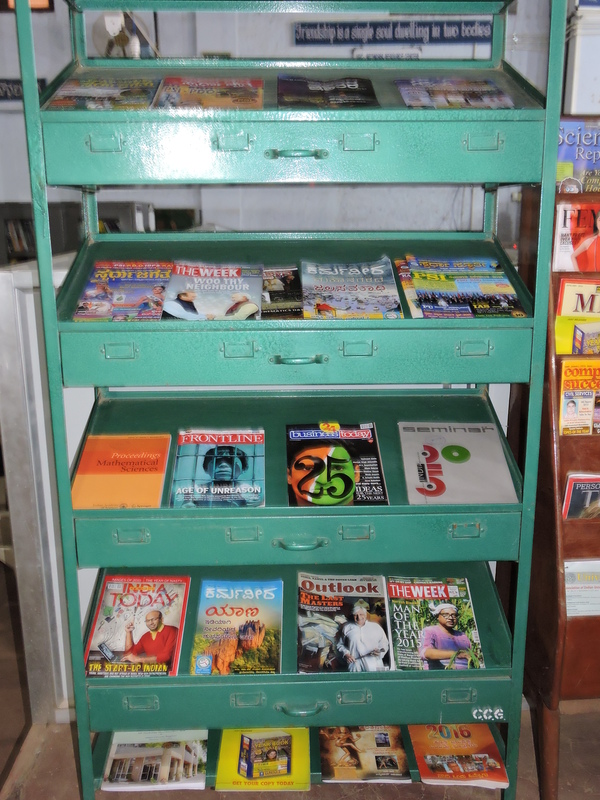 We have separate sections for news paper, periodicals, Question papers etc. The reference section inside the library is spacious and very comfortable. Reference sources like Encyclopedia (English and Kannada), Dictionaries, imported reference books on general knowledge and competitive examinations are easily accessible. Library committee is a body in an organization consisting of the Librarian, Head of the departments of each discipline, Principal of the institution and the Office Manager of the college. Providing sufficient library materials, text books, reference books, periodicals etc. Informing the users to the arrival of new editions to the library and other facilities available. Extending bibliographical services on demand especially from the staff. Ensuring a functional and modular type building at a proper location with adequate facilities and services. Providing adequate furniture and equipments. Making provision for sufficient funds for procurements of documents, Employment of staff, Purchase of equipments, maintenance of building etc. Laying down general library policy. The college library is an integral part of the college. For operational efficiency and the overall policies and objectives of the college library there should be functional administrative structure. Library committee is a body of an organization consisting of the Librarian. Heads of the Department each Discipline, Principle of the Institution and the office Manager of the college. The committee ensures a better understanding between the readers and library polices. All the students and faculty members who have joined the college can get membership of the library. The borrower’s cards are not transferable. The student should produce Identity Cards for issuing/returning of books and for the reading of general magazines/journal/newspapers etc. The college extends the following specialized library services to its stakeholders. Accession registers, Book withdrawal register, Book deposit register, Bill payment register, Reprographic service register, Coaching class book issue register, Library User register, Books issued to old students and parents register, Library best user award register, Stock book registers etc. Using wide and updated reference collection students are guided to get the topics & materials required for their assignments, academic competitions, seminars, projects, etc. For both internal and external users. Nearly 500 text and reference books are used by the post graduate students through Inter Library Loan. Inter library loan services such as photocopy or scan materials, question banks are provided. This is done through new arrivals display rack, and display on the notice board. These services are available to the stakeholders from subscribed e-resources, resources from N- LIST and open access resources. INFLIBNET services (NLIST) are made available to the user community for academic purpose. Printers are provided for student and public access. Automated bibliography generation service is made available by using the catalogue module of the integrated library automation package. The access to the resources is managed through user-name and Password for in-house as well as remote use: (a) e-journals from NLIST (b) open access journals. Regular awareness and orientation for fresh users for ensuring the efficient utilization of the library services. Book bank service facility is available to the meritorious, poor and deserving students. The library faculty members render assistance to search and retrieve information from e-resources on request/demand by the user. 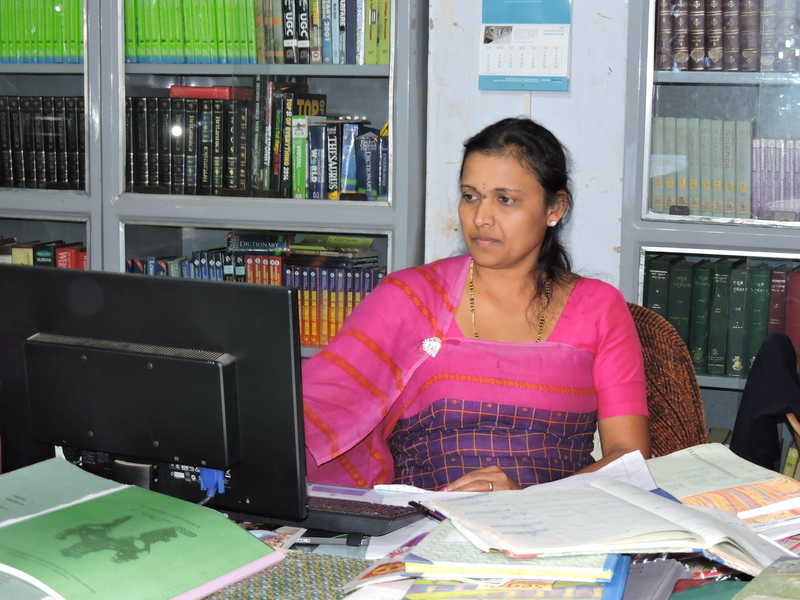 There are more than 200 books related to KPSC, UPSC, KAS, IAS, Departmental Exam, NET, SET, CET and other competitive examination acquired and kept in separate section for the concerned students and the teachers preparing for the exams. Degree students have to maintain minimum 20 library hour of attendance in a semester. A biometric attendance device is placed in the library to record the library hour. Participated as delegate and presented paper on “Best Practices of Cauvery College Library and Information Science center” in the National Conference organized by the University of Mysore, Mysore on 10th and 11th Nov- 2017. Participated as delegate and Presented paper on “Role of librarians in Modern Library Management” in the National Conference, organized by Tumkur University, Tumkuru on 30th Dec-2017. Participated as Invitee/delegate and Presented paper on “Planning and Designing of Academic Library Building” in the 3rd National Conference, on Management of Modern Libraries(NACML)-2018 organized by SEARCH-The Health Science Library and Library & Information Science, MAHE, Manipal during 9-10 Feb- 2018.